The 25th Annual Making Strides Against Breast Cancer Walkers had a great team of cheerleaders in Flushing Meadows-Corona Park last Sunday. 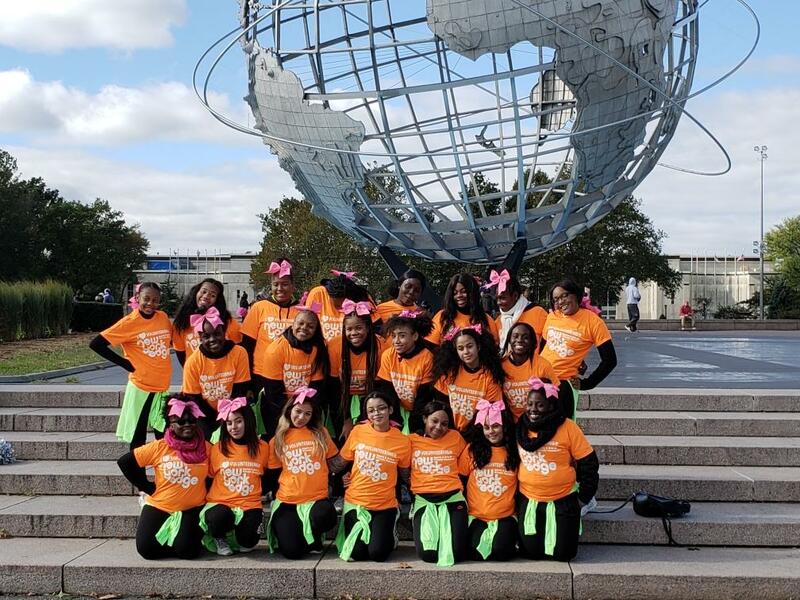 New York Edge Students and Cheerleading team members joined with other schools to help walkers raise money and awareness for the American Cancer Society. The October 21st event was just one of over 300 walks supporting survivors and their families as well as research into this terrible disease. New York Edge is so proud of our students who help make this event unforgettable and understand the importance of giving back to their community. 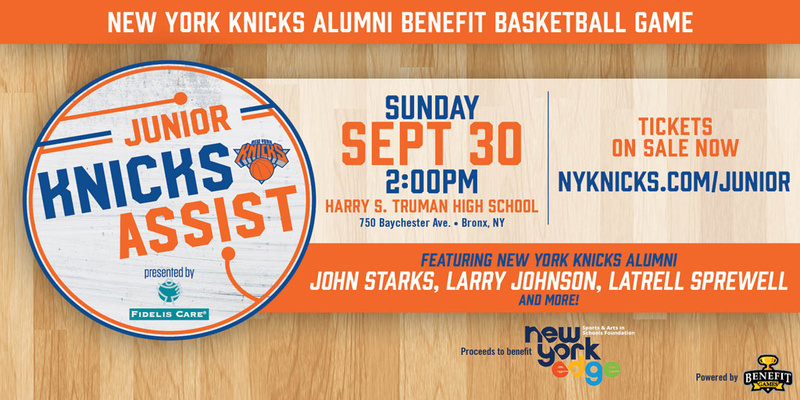 New York Edge and the NY Knicks joined forces yesterday for the first ever Knicks Benefit Basketball game and raised almost $30,000! The White and Blue teams battled it out to the bitter end giving it everything they had and everyone had a great time. The National Anthem was sung by Mikalah Cance of 175x, a New York Edge student and an amazing talent. The half-time game with teams form 127X and 61K was so exciting and our Step Team from 452K brought down the house! The New York Knicks, Madison Square Garden, and Jr. Knicks Assist have been great partners of New York Edge throughout the years. We are grateful for all they do and happy to have a new partner in Fidelis Care for afterschool programming. See more photos from the game here!